The successor of the ZTE Blade X Max is rumored to launch in mid to late spring. Apparently ready to hit the market as the ZTE Blade X2 Max, it looks a lot like its predecessor. The list of rumored specs includes a Qualcomm Snapdragon 450, 3 GB or 4 GB RAM, at least 32 GB internal storage, as well as a 6-inch full HD display. This phablet will probably launch with Android Oreo customized by ZTE onboard. 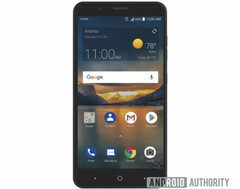 Back in May 2017, the 6-inch ZTE Blade X Max became available in the US via Cricket Wireless. Now, "reliable sources" (according to Android Authority) claim that its successor is on its way and will hit the market by the end of the spring through the same carrier. Even an image that shows the ZTE Blade X2 Max has been revealed and, at least at first sight, the upcoming handset does not come with any noticeable design changes when compared to its predecessor. While Android Authority managed to take a look at the ZTE Blade X2 Max, they got no information about the device's specs. However, since the design is basically the same, the specs will probably get only a minor buff. The ZTE Blade X Max has a Qualcomm Snapdragon 435 processor, 2 GB RAM, 32 GB internal storage, a full HD 6-inch display, 5 MP (front) and 13 MP (back) cameras, as well as a 3,400 mAh battery. Although a budget device, it also features USB Type-C. Considering all the above, it is rather safe to assume that the ZTE Blade X2 Max will debut with the same screen size and resolution, but next to a Qualcomm Snapdragon 450 processor, 3 GB or 4 GB RAM, 64 GB internal storage, a 3,500 mAh (or more) battery, as well as Android Oreo (the Blade X Max launched with Android 7.1 Nougat onboard). A dual camera setup on the back would be a nice addition, since many handsets in this price range use two sensors for the main image shooter nowadays. 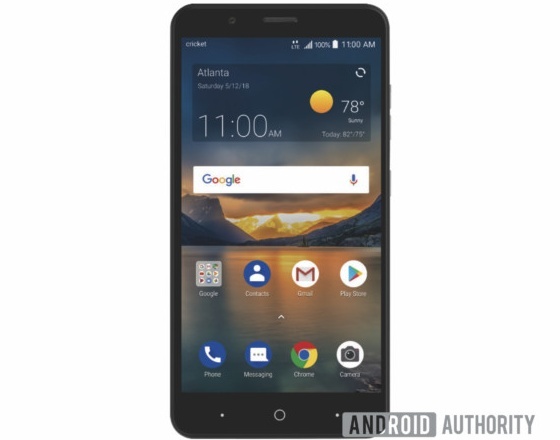 The ZTE Blade X2 Max will probably have a sub-US$200 price tag, so those who are thinking about grabbing a Cricket Wireless handset these days might want to wait for this phablet to show up. Since the Blade X2 Max might arrive in April or May, you should take a look at the ZTE Blade X Max review below to get a better idea on what to expect.